Does Margin Call mean movies won’t show in theaters anymore? Worldwide icon-chevron-right North America icon-chevron-right United States icon-chevron-right Illinois icon-chevron-right Chicago icon-chevron-right Does Margin Call mean movies won’t show in theaters anymore? 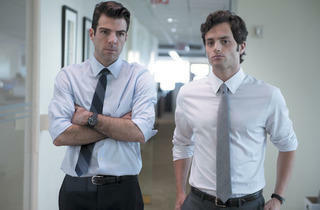 The weekend of October 21, the financial-crisis drama Margin Call raised eyebrows in the film industry with its healthy box-office take—despite the fact that it was available on demand to any moviegoer with cable. Simultaneous theatrical–on demand releases have been around half a decade for indie and foreign films, but in the past month, a more mainstream group has experimented with the model: Joel Schumacher’s home-invasion thriller Trespass, starring Nicolas Cage and Nicole Kidman, opened on all major cable platforms but just ten movie screens October 14, while Melancholia, Lars von Trier’s acclaimed, Kirsten Dunst–headlined new film, began playing on VOD five weeks before hitting American theaters. We’ve assessed the pros and cons of each strategy. 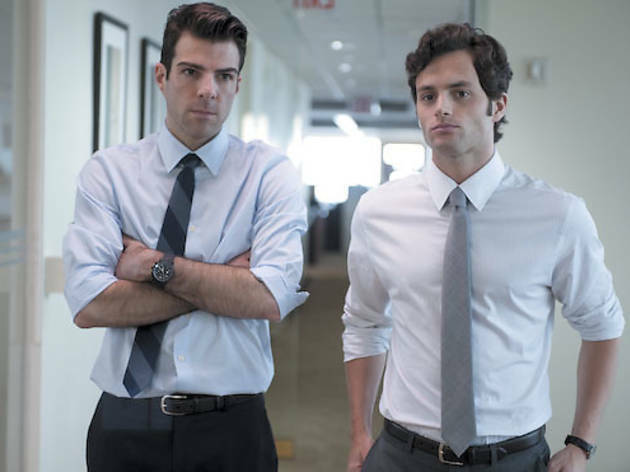 What if future movies follow Margin Call’s lead? As of press time, the on-demand grosses for Margin Call hadn’t been released. Roadside Attractions co-president Howard Cohen isn’t even sure which numbers his company will make public, given that VOD grosses are culled from a variety of sources rather than centrally tallied. But if the jury is still out on VOD, Cohen believes the movie’s availability on demand didn’t hurt its first-weekend theatrical revenue, a healthy $10,034 per screen. “If we released it without a VOD component, we would have been very happy with $10,000 a screen,” he tells me by phone. “If it wasn’t out on VOD, would it have done $15,000 a screen? Obviously, you don’t know, because you can’t go back and relive it.” But Cohen is convinced the film is reaching two audiences—one that wants to go out, and one that wants to stay in. He also thinks theaters are here to stay, noting that more houses would have shown the film if it hadn’t been on VOD. Roadside had to broker special deals with certain exhibitors to get them to play the film. Will big-screen fans soon experience Melancholia? The Academy still frowns on simultaneous theatrical-VOD releases—the rules for Oscar qualification require a film play for “paid admission in a commercial motion picture theater in Los Angeles County…for a qualifying run of at least seven consecutive days” before showing on TV. Melancholia got around this by quietly playing a week in July in the San Fernando Valley before Magnolia brought it to on demand October 7. This is both heartening and alarming: That Melancholia can be watched on cable means it’s reaching a wider audience than most von Trier films, but it also diminishes the incentive to release it theatrically outside L.A. In her review, Entertainment Weekly’s Lisa Schwarzbaum lamented the state of affairs. “[Melancholia’s] VOD-before-theatrical release may be a portent of the shrunken world (and screens) that movie lovers will soon face,” Schwarzbaum wrote, urging readers to “watch this stunner without pausing, on the biggest screen available, and with the best possible sound system.” Amen—it opens in Chicago November 18. What about marquee items, like Trespass or Tower Heist? If you subtracted Kidman and Cage, Trespass wouldn’t be so different from the straight-to-video thrillers that have been around for decades. The Ben Stiller–Eddie Murphy comedy Tower Heist suggests a more interesting test. Last month, when multiple theater chains balked, Universal backtracked on a plan to bring the movie to VOD just three weeks after it opened in theaters. (This spring, a consortium of studios held off on a similar experiment to make movies available on demand 60 days post-release.) With Brett Ratner’s caper reportedly priced for home viewing at $59.99, you’d have to have six viewers to get your money’s worth. Maybe the future isn’t here just yet.